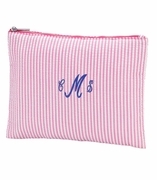 Just in� our toss and go personalized makeup case. 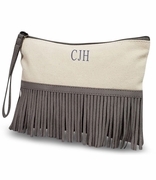 If you are looking for a medium sized cosmetic accessory travel bag this one is perfect. 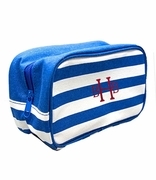 Cotton twill navy and denim stripe cosmetic bag for all bath and beauty toiletries. A sophisticated and practical addition to individuals travel, gym or work bag. Matching tote bag available search item RS-44059. 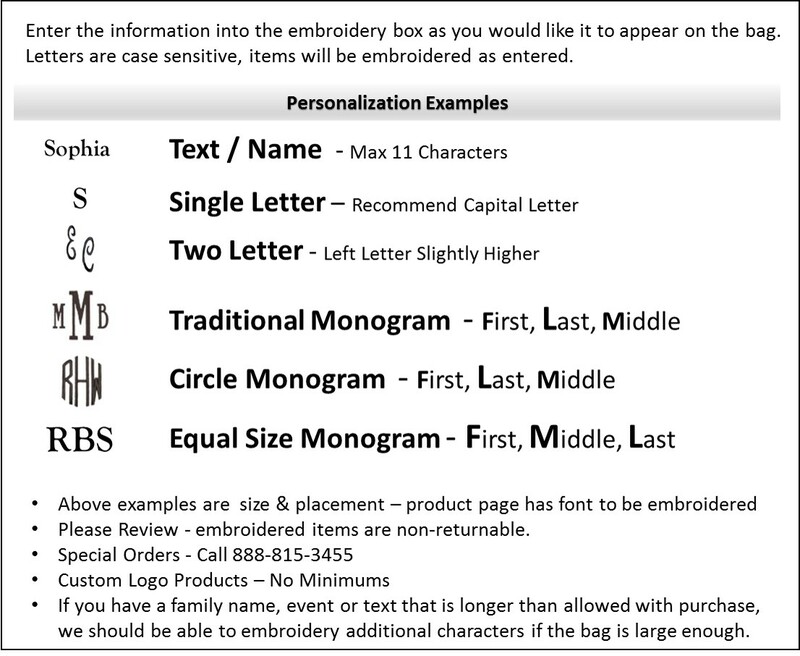 Complimentary personalization with name or monogram from Simply Bags. 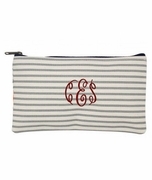 Cotton twill striped cosmetic measures 8"W x 6"H with wristlet handles and zipper closure.